Our 21' Sea Pearl sailboats draft only 12 inches and allow you to explore places most other boats can’t even access. Gaze overboard as you glide over sand bars, coral reefs and the occasional deep channel while keeping your eyes out for sting rays, dolphins, turtles and lobster to name a few. The Exuma Cays are truly God’s gift to sailing as the 120 mile stretch of small islands offer great protection from ocean surge and strong winds. Sail in comfort along the leeward side of deserted island after deserted island as the favorable winds are almost always behind you, easily pushing you forward, helping you explore the most beautiful and remote places in paradise. In addition to our Sea Pearls, we have access to use a few other fun sailing vessles through our work with the Exuma Sailing Club. You can rent these boats, if they are available, for the day or the week. They rent for $100/day, and launch on the beach near Augusta Bay. Weekly options are available (delivery fees may apply). 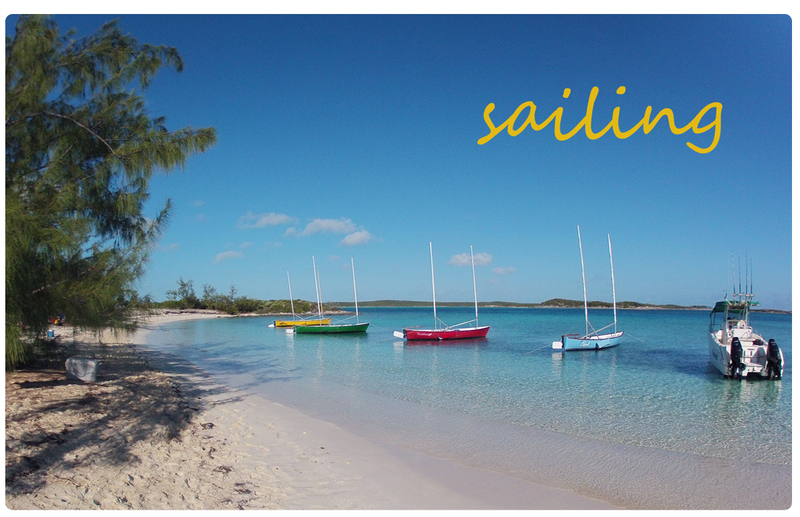 All proceeds for these boats go to support the Exuma Sailing Club. For information about chartering a traditional Bahamian Sloop, please go here.